There are good friends, and then there are great friends who gift you the limited edition Royal Salute gift boxes. Celebrating British traditions, these sets honour Scotch whisky and another favourite English pastime: tea. 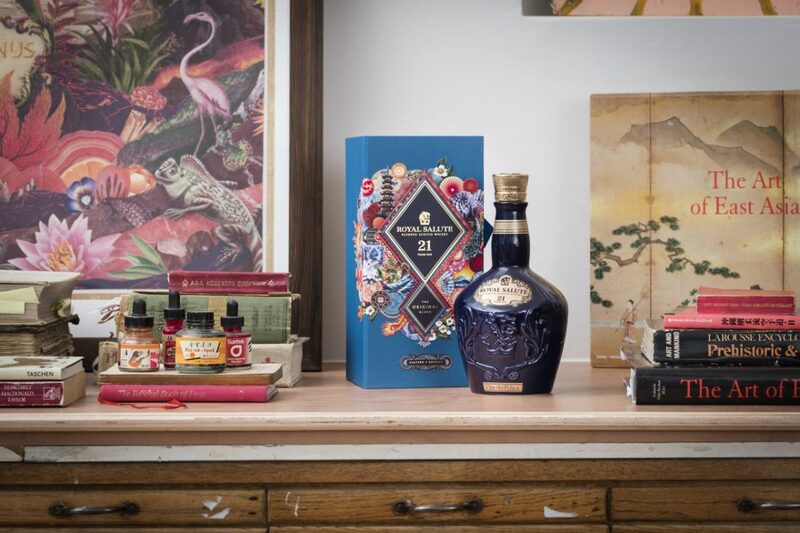 As such, two bespoke versions of The Royal Salute depict Eastern and Western themes — the signature Royal Salute 21 Year Old is housed inside a a box bearing a collage of tea rituals, along with famous landmarks and cultural icons. The illustrations were designed by the esteemed British artist Martin O’Neill. Sandy also revealed that the 21 Year Old — Royal Salute’s signature expression — was originally created as a celebratory gift all those years ago to mark the Coronation of Queen Elizabeth II. Royal Salute Marketing Director, Mathieu Deslandes added: “We love the synergies between the craft of blending tea and that of blending Scotch whisky – both works of art and beloved by royalty as time-honoured ways to toast momentous occasions with family and friends – in both Eastern and Western cultures. For further information visit www.royalsalute.com.